According to Reuters, President Obama earlier this week signed and issued an executive order, declaring Venezuela a national security threat and ordering sanctions against seven officials from the oil-rich country. But the move stokes tensions between Washington and Caracas just as U.S. relations with Cuba, a longtime U.S. foe in Latin America and key ally to Venezuela, are set to be normalized. Venezuelan President Nicolas Maduro denounced the sanctions as an attempt to topple his government. 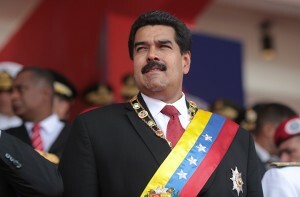 At the end of a thundering two-hour speech, Maduro said he would seek decree powers to counter the “imperialist” threat, and appointed one of the sanctioned officials as the new interior minister.